"The EU celebrates together with her country." 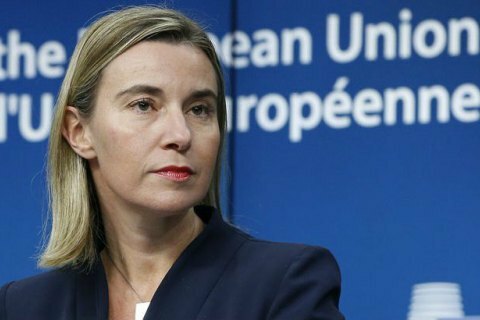 Head of European diplomacy Federica Mogherini has described as long-awaited news the report of the release of Nadia Savchenko tried and sentenced in Russia. "Nadia Savchenko is free and back in Ukraine. Long awaited good news, that the EU celebrates together with her country," Mogherini tweeted. On May 25, the plane of the President of Ukraine Petro Poroshenko with Savchenko landed at Kyiv's Boryspil airport. Russian President Vladimir Putin signed in the morning of 25 May a decree to pardon Savchenko. In turn, Ukraine Petro Poroshenko pardoned imprisoned Russian GRU officers Evgeniy Yerofeev and Aleksandr Aleksandrov.